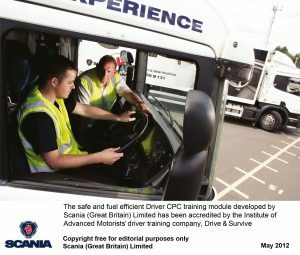 Reflecting its on-going commitment to road safety and improving driving standards, the safe and fuel efficient Driver CPC training module developed by Scania (Great Britain) Limited has been accredited by the Institute of Advanced Motorists driver training company, Drive & Survive. Officially entitled Safe & Fuel Efficient Driving (LGV & PCV) Scania Driver CPC Module B, this is currently the only commercial vehicle manufacturer Driver CPC course to have been awarded IAM-accredited status. With pathways designed to fulfil the needs of truck, bus and coach drivers, Scania’s Safe & Fuel Efficient Driving training is a practical course covering both on-road instruction and classroom training. 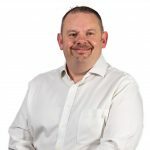 Key aspects of the course include safe driving, urban driving, driving style and techniques, use of the engine and gearbox and environmental considerations. As an additional benefit, all drivers attending the course receive 12-month’s complimentary Affiliate Membership to the IAM.